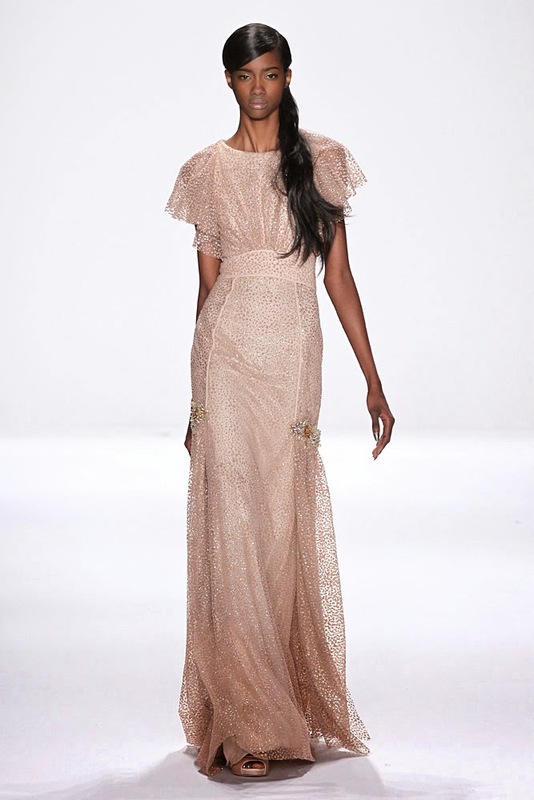 NY and London fashion week are both popular amongst fashionistas and as New York's Fashion Week is coming towards the end, I thought I would share with you a few of my favorite pieces. I would like to say how amazed I was at the difference between color choices to styles. Betsy Johnson's look's reflected the 60's vibe, featuring bright colors from pinks, reds too yellows and blues. She mainly featured colorful knee-high socks or boots with the outfit. 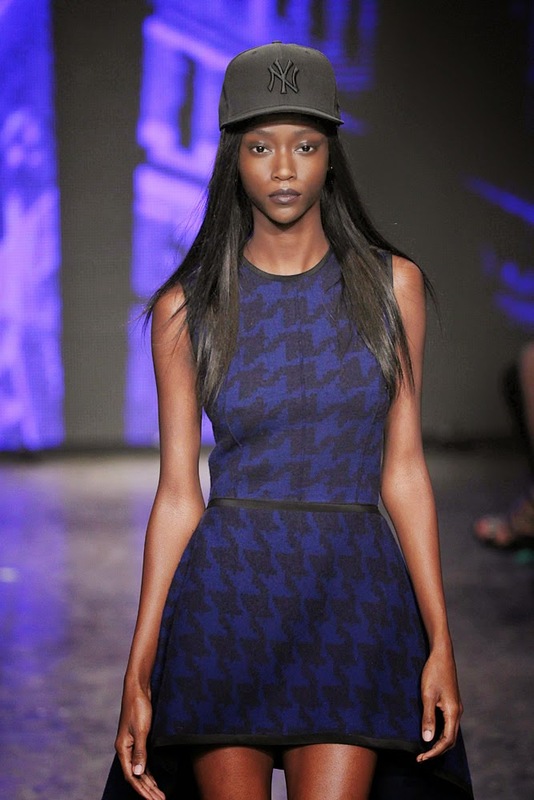 The DKNY collection sported mainly dark tones such as navy, blacks and grey. However there was the occasional pop of yellow and pink which made the pieces interesting. 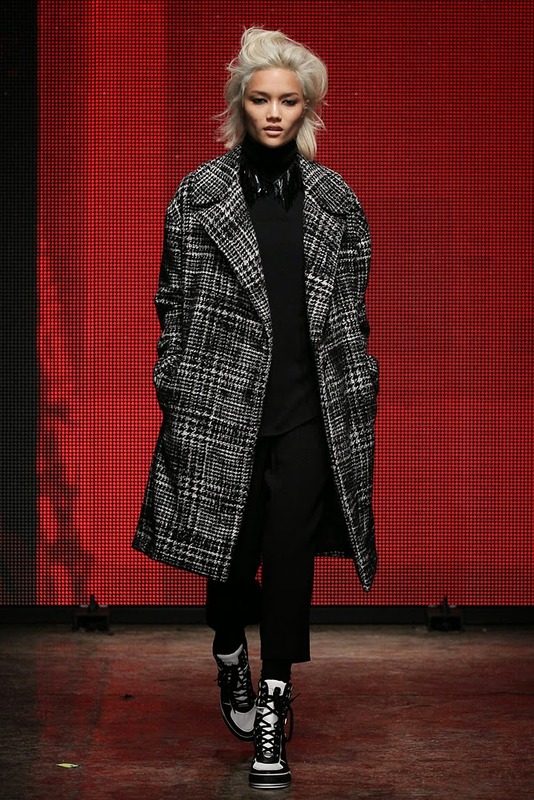 The outfits mainly featured 'duffle coats', alongside ankle boots. Perfect for England! 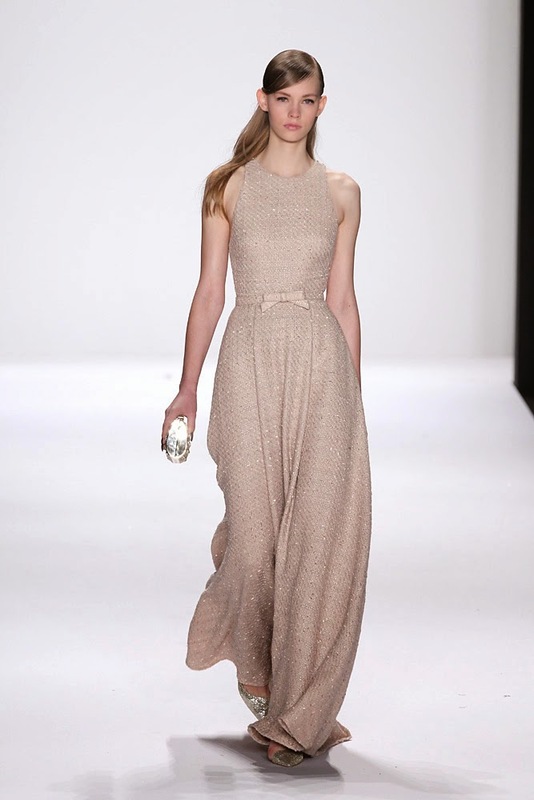 Badgley Mischka was by far my favorite collection I have seen this year, mainly for the flowing gowns. 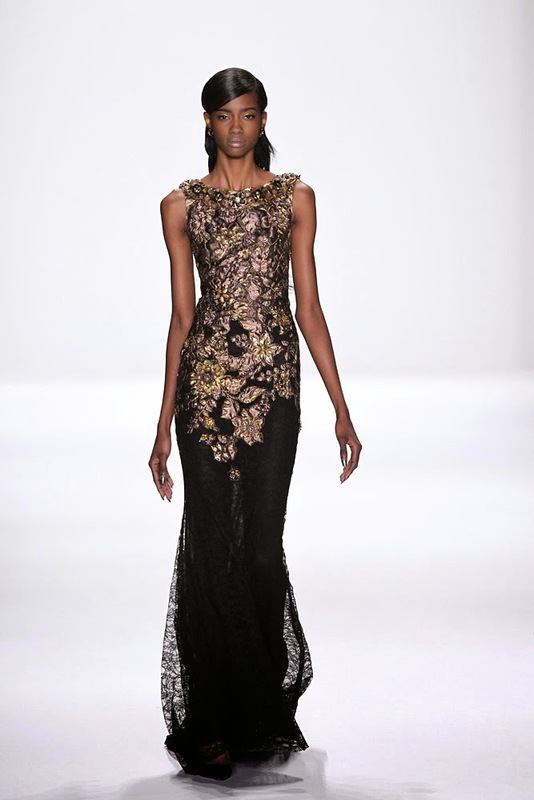 The clothing was mainly based on neutral tones, black, gold and creams, however majority of the pieces came with sequins by the dozens! These three gowns above represent the brand, classy and elegant. Firstly I would like to say, it was nice seeing a brightly, fun- feel, catwalk hitting NYFW, compared to the typical, minute white/ black look. Also I would like to mention how refreshing it was seeing models smile!! Her collection was very colorful and featured many glamours items with the occasional gold shimmer. 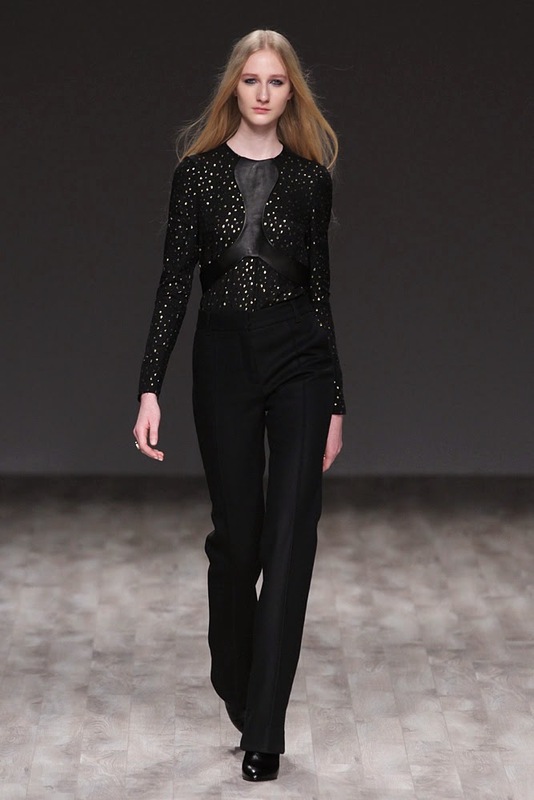 This designer is extremely classy as well as edgy. The fresh look, looked rather swish with many colors of black, creams, pinks and grey. Jill kept the color scheme very basic throughout, which to the typical student/ worker, you wouldn't really want to show up to work in a rainbow colored jacket, therefore it worked. Each piece had unique little designs which, I feel, interests people further. Also 'Duffle coats' appeared in the collection a few times alongside fur, watch out for high street dupes!